We welcomed David Shayler of the UK to the program. 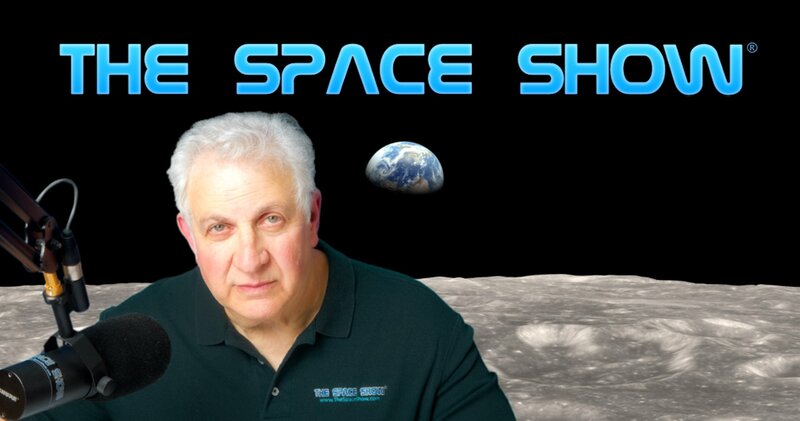 This is the first time we have talked with Dave though he has been the author of books we have talked about plus co-author and contributor to other books regarding Skylab, space stations and the book by astronaut Jerry Carr. It was an honor to finally get to talk with Dave himself. Our program consisted of one segment and 64 minutes in length. We started our discussion talking about his interest in space stations and his recent book that we discussed on The Space, "Outpost in Orbit." By the way, I suggest you visit Dave's website and refer to it during our discussion as we referred to many of the items listed during our discussion. Check it out at www.astroinfoservice.co.uk. This opened up a comprehensive discussion on space stations in general and specifically, Mir, the Salyut, Skylab, and future plausible commercial space stations. We also talked about space station interest, specifically in the potential new commercial stations in the UK and throughout Europe. Dave was asked to explain his interest in space stations which he did. Dave addressed the subject of getting younger people interested n space. He said robotic missions helped but having your own national fly in space like UK Astronaut Tim Peake really made a difference with school age interest in space. Don't miss how he described the impact of Tim Peake on those in the UK. Listener Sherry asked our guest about space tourism and if that could be a good driver for helping to create interest in space. Dave talked about space tourism and human spaceflight. He said BLEO human spaceflight was still not like being on a holiday. He did reference his understanding of the Virgin Galactic suborbital model but he said orbital and beyond needed lots of infrastructure and training, all at high cost, with lots of political and general public support. Don't miss all of what our guest said on this topic. Let us know your thoughts by posting them on our blog. Other topics included super sonic plane travel, Von Braun human spaceflight concepts, and the use of social media to expand interest in spaceflight. Dave then talked about his interest in the Gemini missions which resulted in his books and works in progress. Dave was asked why his interest in Gemini. He said it was a true learning tool for human spaceflight and for the future it is still important today. Don't miss his comments. Next, we once again talked about the potential of commercial space stations. Regarding space stations, he also talked about the Chinese and their station and future plans. To help drive interest in human space flight, I asked about developing a permanent presence on the Moon, humans going to Mars, exoplanets, interstellar flight, and searching for life off Earth. He thought all of this was helpful but the key was education which he talked about at length as we neared the end of the program. Social media was once again the subject of some of Dave's comments but education as key for driving the interest in spaceflight was the leading topic as we drew our discussion to a close. Please post your comments/questions on our blog for this show. To reach Dave, you can do so via www.astroinfoservice.co.uk/Contact_Us.html. Dave can also be contacted through me.